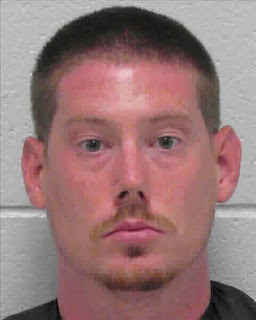 A 29-year-old Villa Rica man apparently expected his mother to iron his clothes for him. And when she wouldn't, he pulled a gun and held her hostage for several hours, police said. Carroll County Sheriff's Office Robert Edward Tyrrell Jr. faces aggravated assault and false imprisonment charges. Robert Edward Tyrrell Jr. remained in jail Thursday without bond, Sgt. Marc Griffith with the Carroll County Sheriff's Office told the AJC. Tyrrell faces aggravated assault and false imprisonment following the June 30 incident, Griffith said. "He wanted her to do some ironing, and when she said ‘no,' they got into an argument," Griffith said. "He told her ‘ironing is woman's work.' "
Tyrrell, who lives with his parents, then pulled out a gun and took his 51-year-old mother's keys and cellphones, Griffith said. The man refused to let the woman leave for at least six hours, investigators said. memo to Tyrrell: the good news is that you can wear wrinkly clothes in prison.